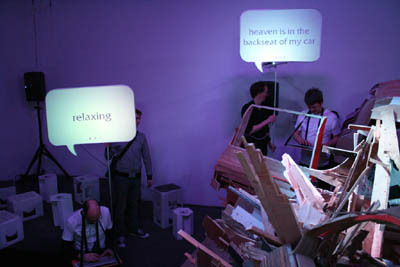 The Chat project is a mobile performance installation that can be played by two people at a time. 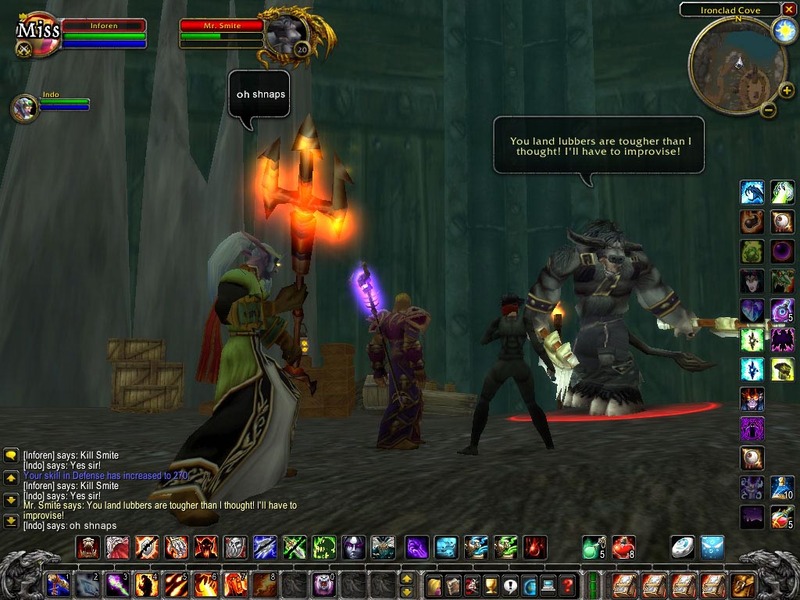 Just like in World of Warcraft or Second Life, the two participants communicate with each other in the form of brief text messages input via keyboard. 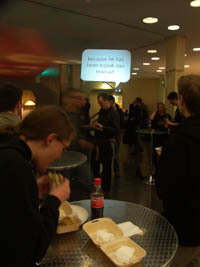 Immediately after they’ve been entered, the written communiqués appear in comic-strip-like dialogue balloons projected above the speaker’s head. 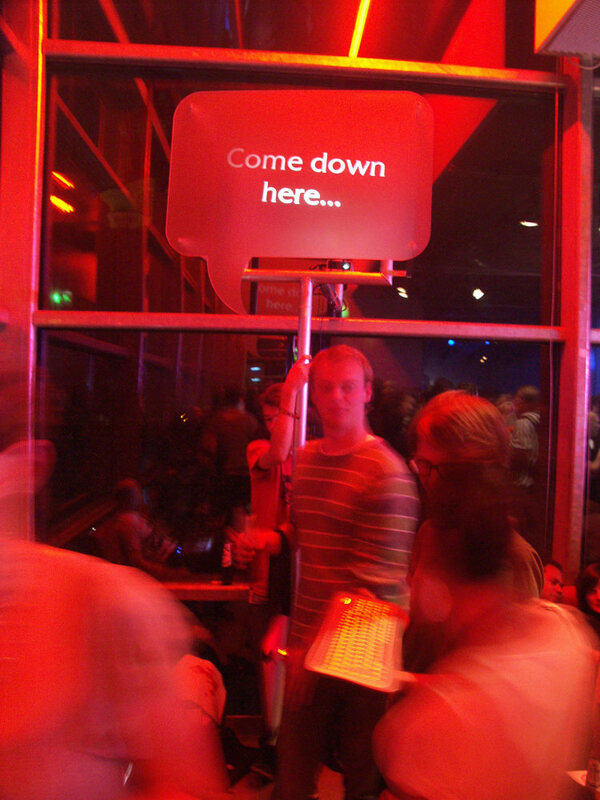 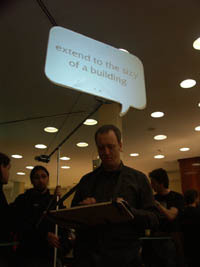 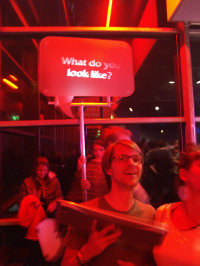 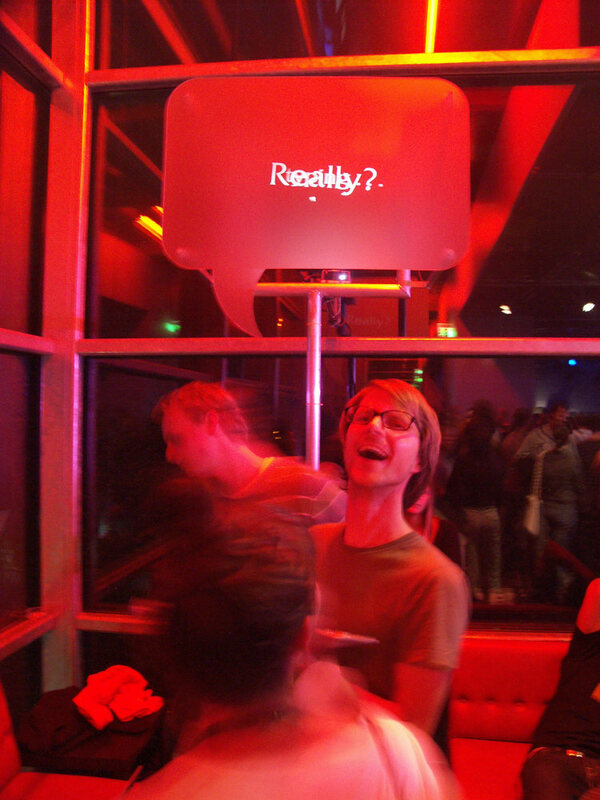 The projection surface in the form of the dialogue balloon is put in place by a technician positioned behind the speaker with the help of a telescoping pole featuring a built-in miniature projector. 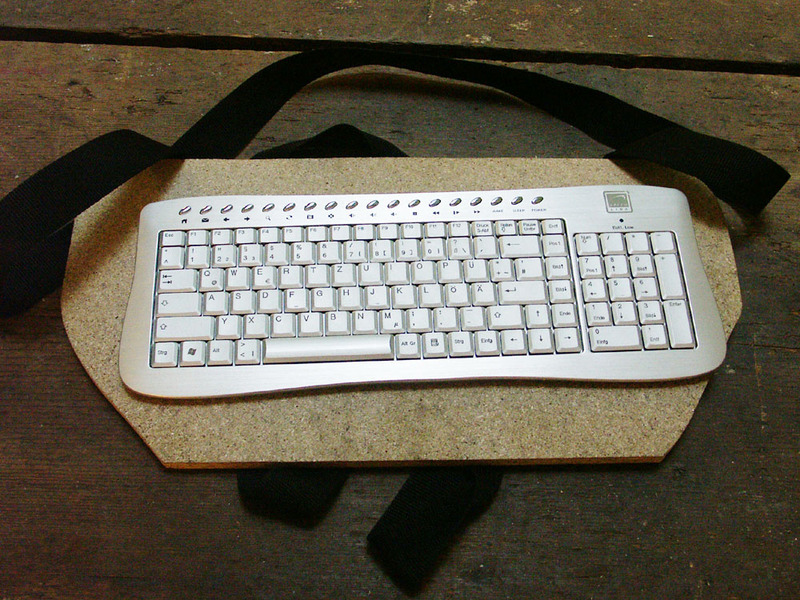 Thanks to a wireless keyboard set up in front of his body, the speaker can move about freely in interior and exterior spaces and concentrate on the written conversation. 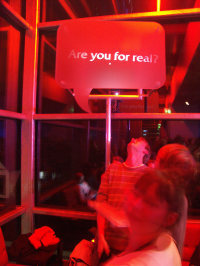 Engaging in conversation on the Internet by means of short text exchanges that usually consist of rapid-fire sequences of questions and answers has a long tradition. 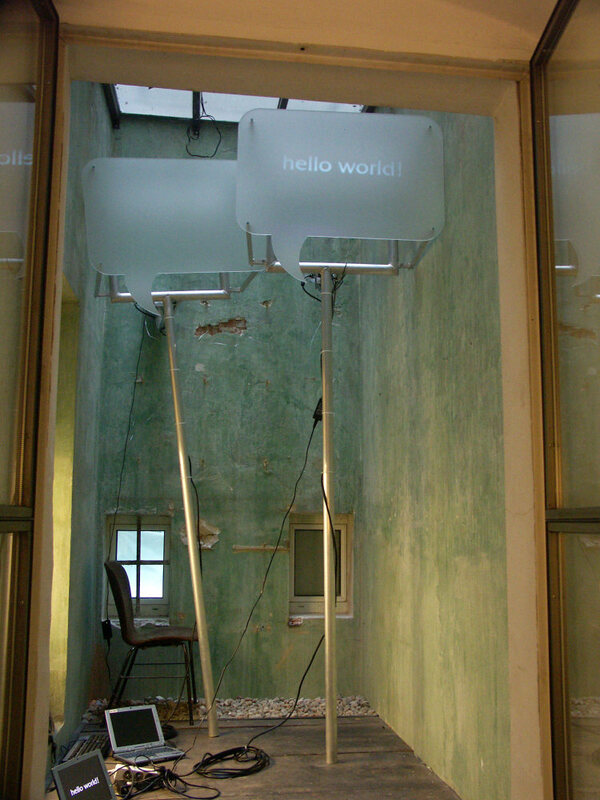 So-called IRC (Internet Relay Chat) servers with thousands of chat rooms (channels) have existed since the ’70s. 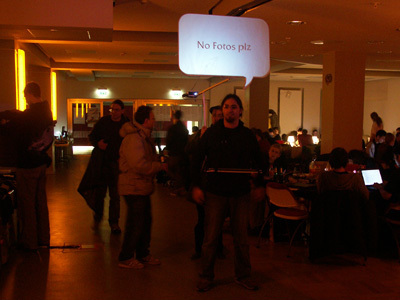 Over the years, chatting has established itself as an integral communications standard on a variety of different software platforms, services and user devices. This highly reduced form of communication has a quality all its own and has brought forth a number of different innovations such as the emoticon :-). 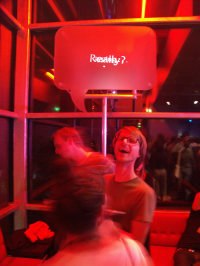 Nor has the online verbal communication that has since become very widespread completely eliminated chatting; rather, it has supplemented it. 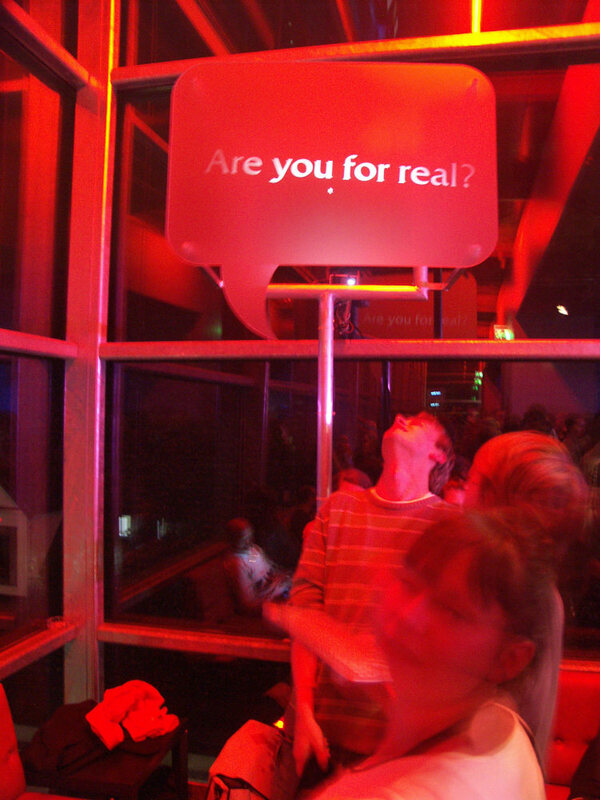 In 3D worlds, chatting as a form of communication was present at the very outset. In contrast to chat “rooms”abstract, placeless placesconversation has been re-endowed with a spatial dimension here.Wrenched out of the context of text windows, the typed-in message appears in a dialogue balloon above the avatar’s head and follows the player’s proxy on its way through the virtual world. 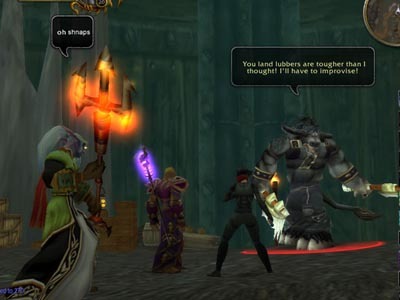 All other players within a certain range can read these messages and, in turn, answer with a communiqué in their own dialogue balloon. 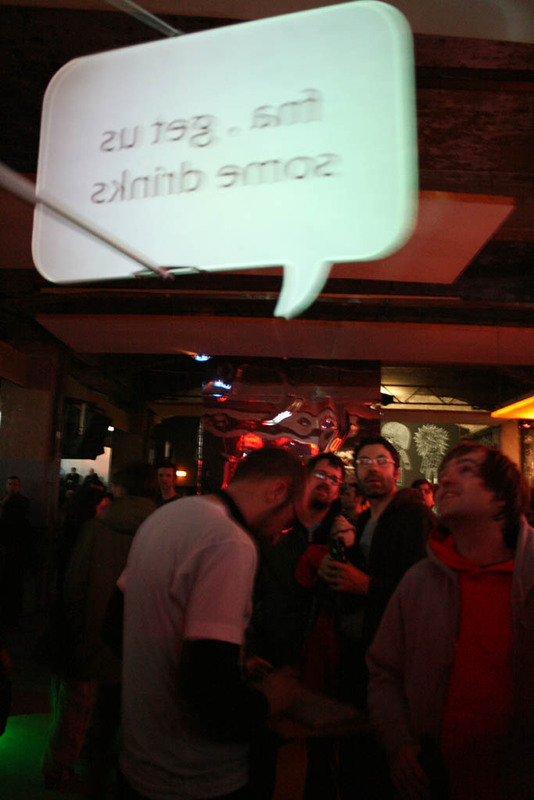 Chat is an intervention that translates this form of conversation into the physical, public sphere. The written conversation becomes legible by the people in ones proximity. 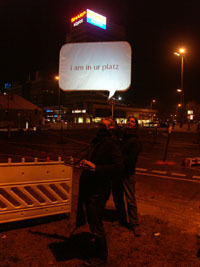 Each message remains visible in the dialogue balloon until a new message replaces it. What happens when a conversation between two people is made public in this way? 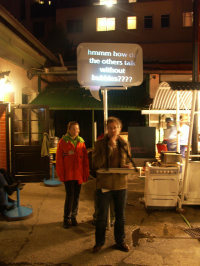 What relationship exists between the written and spoken word? 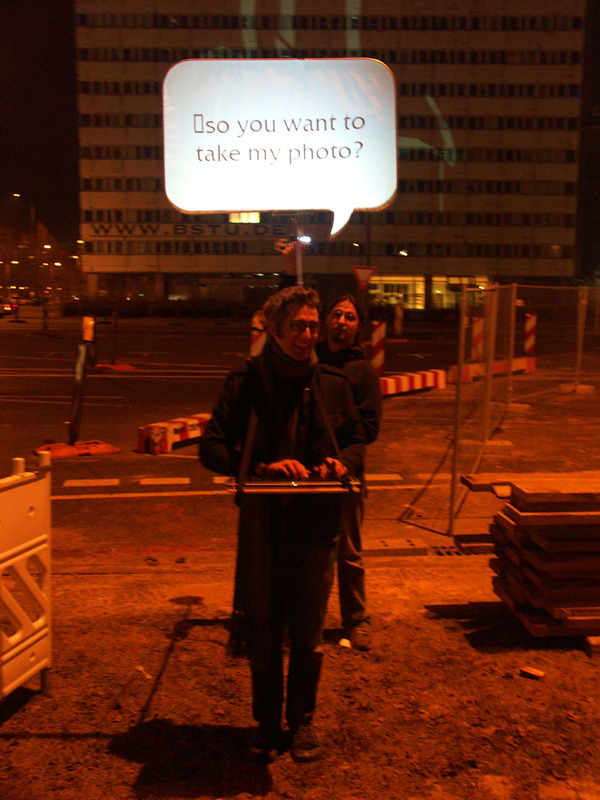 How does ongoing technological development influence our interpersonal communication? 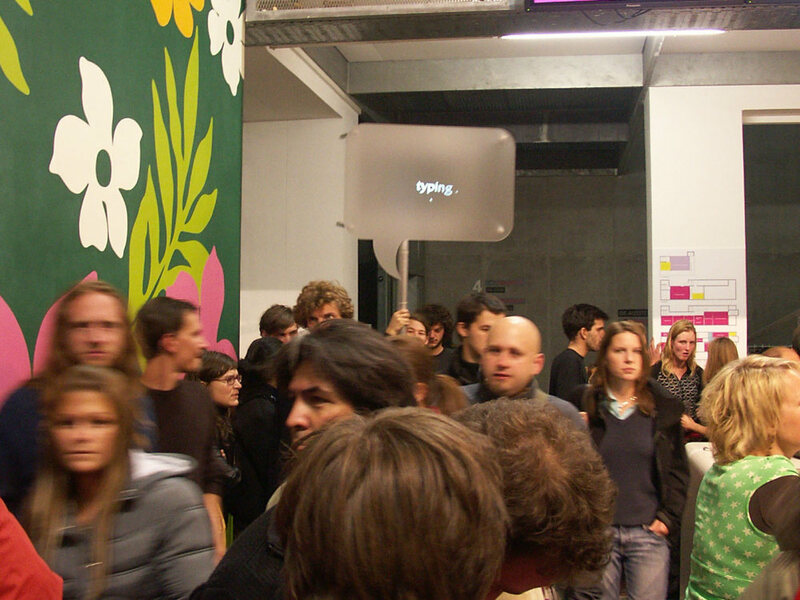 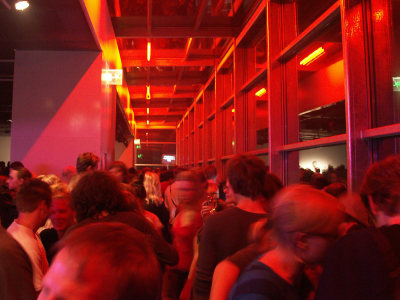 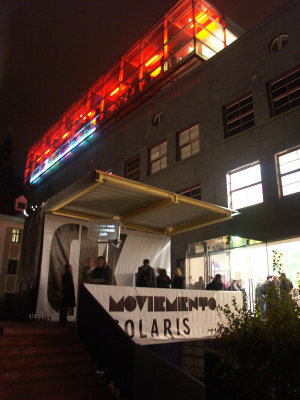 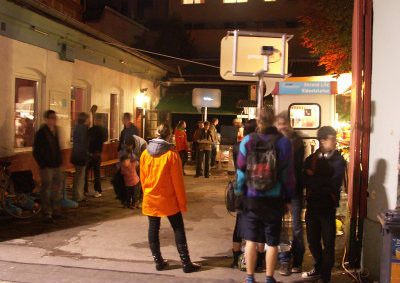 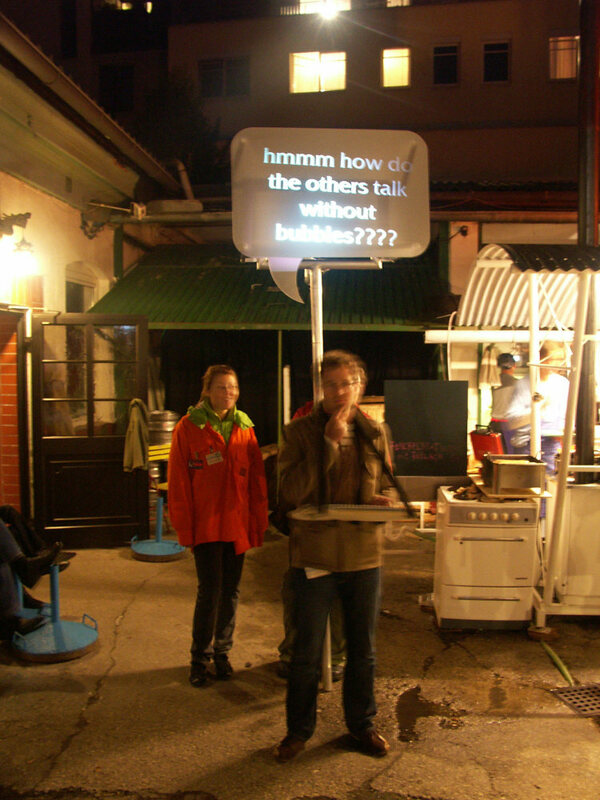 Chat has been produced by Ars Electronica 2007 and was shown during the festival in different locations. Thanks to the AEC production team: Martin Honzik, Carola Unterberger Probst and Dietrich Killer among others. 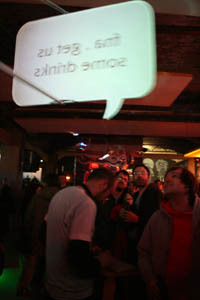 Thanks to the support team. 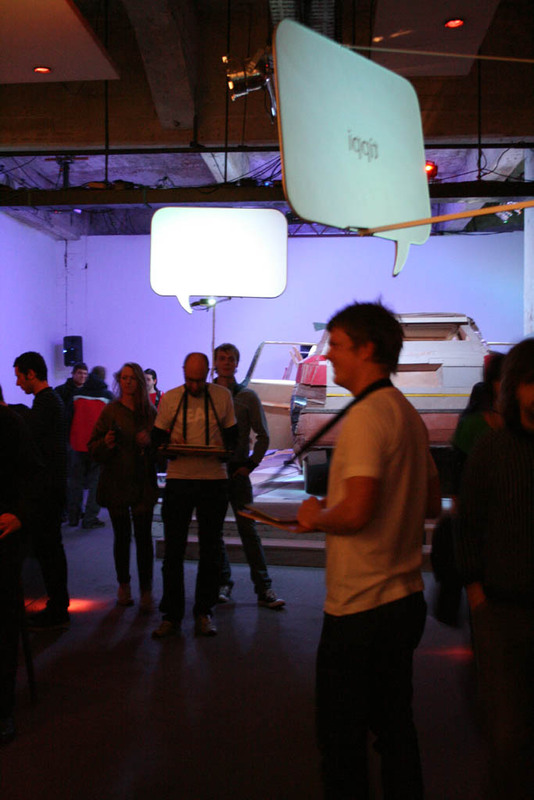 Thanks to Futurelab for tech support and to Roland Haring for coding.